Achieving a sun-kissed glow is way up there on my list of priorities when it comes to skincare. 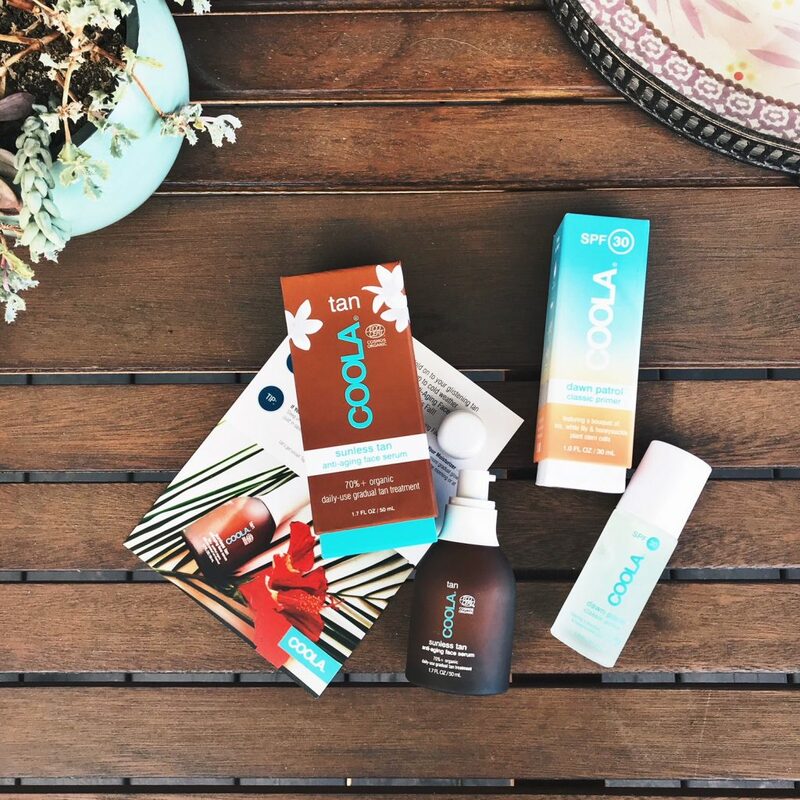 After trying nearly everything on the market for most of my adult, and some of my teenage, life, Coola’s Sunless Tan Anti-Aging Face Serum is far-and-away the best glow product I have ever used on my face. Ever. Coola’s 70 percent organic Sunless Tan Anti-Aging Face Serum is an antioxidant-rich blend of argan oil, vitamin C, hyaluronic acid, and plant stem cell cultures that leaves my skin feeling smooth, hydrated, and glowing. You can use this light serum alone or add it to your everyday face moisturizer for what the brand calls ‘buildable luminance’ – which may just be my new favorite way to describe what I’m looking for when it comes to glow products. Coola’s Daydream Mineral Primer is lightweight and perfect for radiant-looking skin and makeup. This mineral primer’s lightweight texture gives a photo-reflective appearance that visibly blurs fine lines, evens out my skin tone, and creates a smooth finish. After a day or two of using the self-tanner at bedtime I’m able to get by with just a quick application of this SPF 30 primer in the morning and skip my daytime foundation altogether.